The thing I love about smoothies is that they are so versatile. Eat them in a bowl when they’re thick, or drink them down when they’re thin. You can throw in whatever you want, and you don’t even know you’re being healthy. I probably smoothie about twice a month, just as an easy after work snack or dinner, depending on how I feel! It’s good to know I’m getting the nutrients from the “green stuff” without having to eat 25 salads! I used a new almond milk I want to tell you about, called MALK. 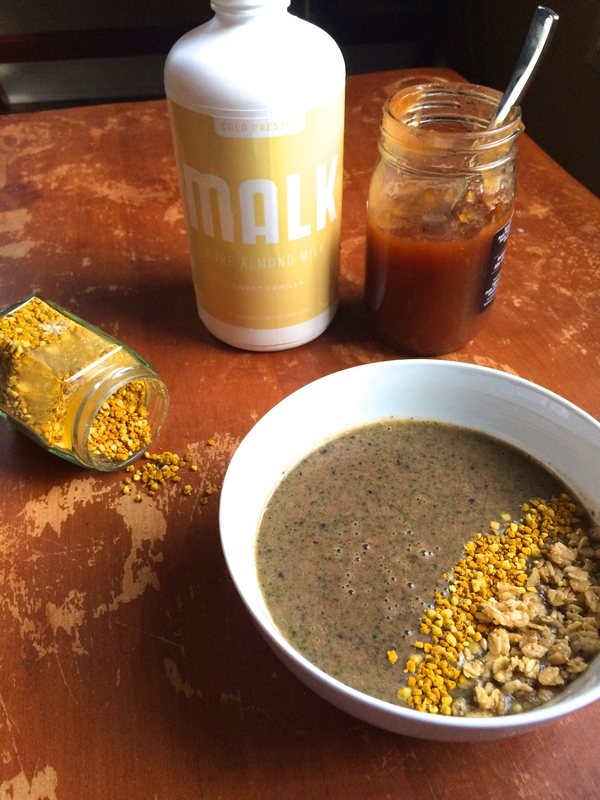 MALK is a Texas-based family-owned company that has recently gotten their “big break” and can be found in Whole Foods in the following states: Louisiana, Texas, Oklahoma, and Arkansas! One of their co-founders, Joel Canada, came to visit the foodies of Tulsa. I showed him Elote and he let me take a sample of all three flavors! He said I didn’t owe him anything, but I thought that a shout out was the very least I could do for such a cool family business. 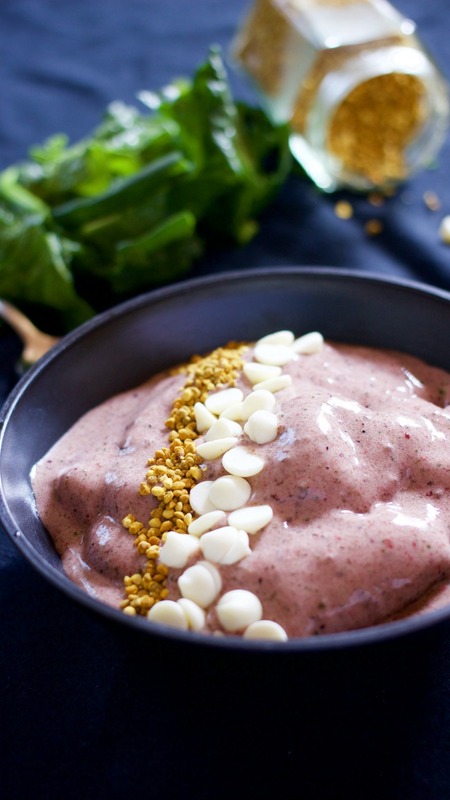 The pecan maple is my favorite flavor, and would also be great in this smoothie. It’s also great in coffee, I’ve heard. What I love about MALK (and what everyone else seems to love, too) is that it has a CUP of almonds in each bottle. Many almond milks on the market today can’t claim that (Almond Breeze is currently in a lawsuit for not actually having a significant amount of almonds in their product. Good work, guys.). They also have additives, such as carrageenan, which is an emulsifier with a bad rap. MALK is water, almonds, salt and vanilla – Just like if you were to make it at home, but saves you the soaking time and the dirty blender….